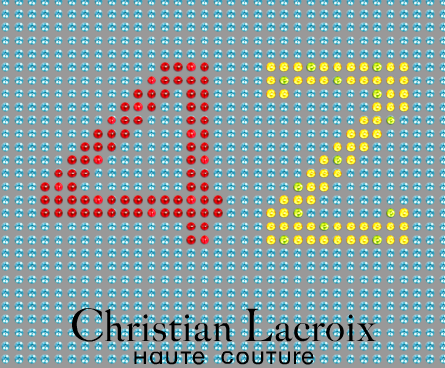 Christian Lacroix is a French fashion designer. He opened his own couture house. He began putting out ready-to-wear in 1988 drawing inspiration from diverse cultures. Critics commented that he did not seem to understand the type of clothing the working woman needed. In 1989, Lacroix launched jewelry, handbags, shoes, glasses, scarves and ties (along with ready-to-wear). In this same year, he opened boutiques within Paris, Arles, London, Geneva and Japan. bla bla…. why do I care..
Because I am gonna stay in a boutique hotel in Paris which has been completely couturized by him. Bold imagination, amazing design, cutting edge bath fixtures… Pariiii, countdown starts now..